The march of rumors began in a galaxy far far away, back when it was announced that there would, in fact, be a Star Wars: Episode VII. Cue the speculation, on casting, on director, on plot and subject and on the color of Luke Skywalker’s underwear. With three originals returning (Carrie Fisher, Mark Hamill and Harrison Ford), and director JJ Abrams locked in, the spotlight naturally turns to who will be required to anchor Star Wars: Episode VII. Because if this continuation of a beloved franchise is going to fly, the cast better be good. Which is why it’s kind of exciting that the name Jonathan Rhys Meyers has recently come to the surface in the Star Wars rumor mill. The only info on this so far is that his name has been ‘thrown around a lot’ in connection with Star Wars: Episode VII. But that’s more than enough to start speculation a-plenty, now isn’t it? Star Wars: Episode VII certainly needs a set of very good, big name stars to reinvigorate the franchise. As much as fans can get excited about the return of Han, Luke and Leia, the novelty will wear off fairly quickly. Abrams and Co. need to bring us something new, preferably not in the form of CGI Muppets and elaborate hair-styles. Oh, and racial stereotypes. Do not forget racial stereotypes. 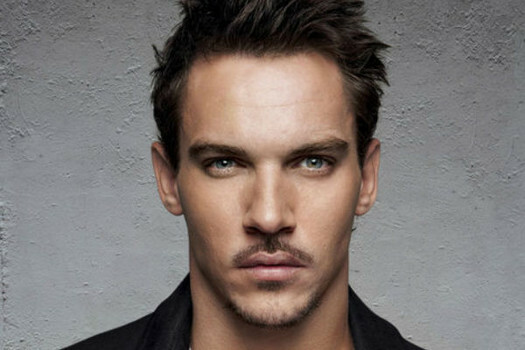 So someone like Jonathan Rhys Meyers, who is known but not a ‘huge’ name in Hollywood, would be perfect casting in a leading role. He even kind of looks like he could be a Skywalker. All of this remains speculation and rumor as yet, and is likely to remain so for weeks to come. Abrams has other concerns – like the fact that his other little space franchise has not performed as well as expected – without having to deal with who will wield what color lightsaber. Star Wars: Episode VII is still a long ways away. Still, we can dream. What are your thoughts on Jonathan Rhys Meyers journeying to the far reaches of space? Should he join the Skywalker clan?